Plant one everbearing variety for every five ‘White Carolina’ plants. This will help with the pollination of flowers on the ‘White Carolina’ plants and should result in a better landscape performance. Growing Pineberries printable document will open in a new window. Use a fertilizer with high Phosphorus such as our Rose & Strawberry fertilizer (10-52-17) This fertilizer has been specifically developed for the needs of strawberries. The high number will encourage blooms, which in turn will add up to more fruit. 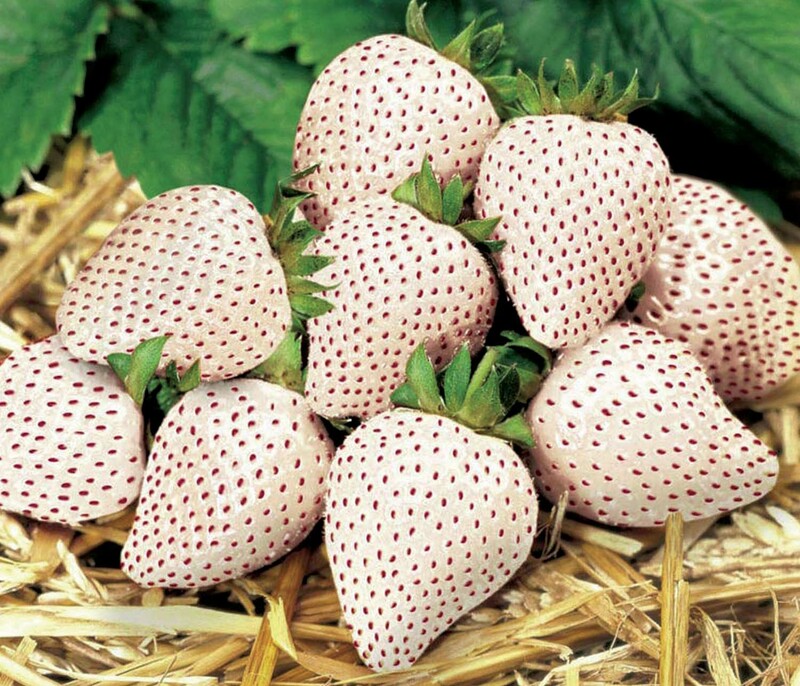 To understand how to fertilize strawberries, it helps to understand how strawberries grow. All strawberry plants are generally shallow-rooted. This means that the plant doesn’t put down deep roots. Because the roots grow near the surface, the plants tend to use up the nutrients near the top of the soil very quickly. Unlike a tree, which can send its roots deep into the ground to find additional nutrients, strawberries are stuck with what’s available to them. Plants display several clues when they need fertilizer. Learn how to read your strawberry plants’ signals correctly. Some of these clues may also point towards insects or other problems, so be sure to consult a local gardener or someone at your local garden center if your plants continue to struggle. No berries: Plants may produce flowers, but berries either fail to develop or never develop at all. (Lack of fertilizer/poor soil).